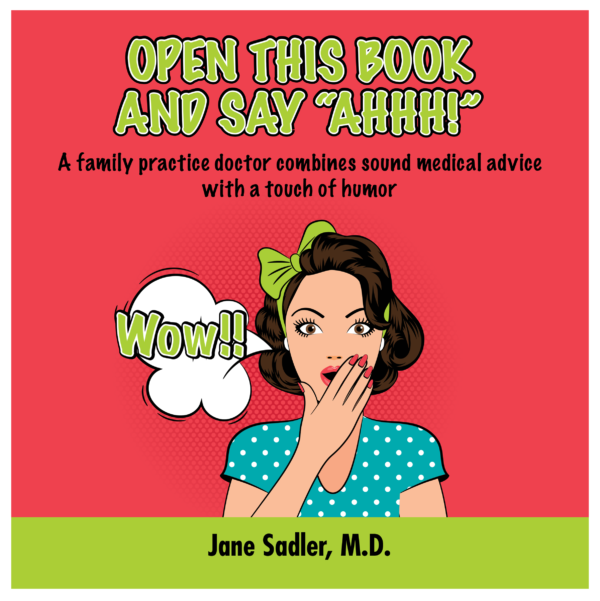 Dr. Jane Explains — Open This Book & Say "Ahhh"
Open This Book & Say "Ahhh"
Sadler is a regularly-featured expert in The Dallas Morning News as their medical blogger in addition to several well-known national magazines including Cosmopolitan, Teen Magazine, Glamour, Redbook, and Shape Magazine to name a few. She has been quoted on Yahoo! and Forbes Information sites in addition to many others. She appears regularly in the Dallas/Fort Worth television and radio markets as an expert on women's health. Sadler has a passion for healthy lifestyles and is committed to arming women with the knowledge to more positively affect their quality of life. Dr. Sadler’s opinions and writings do not reflect those of Baylor Scott and White Health.